HANOI, Vietnam (AP) — With nervous world capitals looking on, President Donald Trump and North Korea’s Kim Jong Un are beginning their second nuclear summit with a one-on-one discussion and an intimate dinner as hard questions swirl about what the American president will demand and Pyongyang might be willing to give up. Kim, who arrived in Hanoi first, spent Tuesday traveling around the Vietnamese capital in his limousine. With a squad of bodyguards in tow, he visited sections of Hanoi, including his nation’s embassy where a loud cheer went up as he entered the compound. As host, Vietnam is eager to show off its huge economic and development improvements since the destruction of the Vietnam War. But the country also tolerates no dissent and is able to provide the kind of firm hand not allowed by more democratic potential hosts. 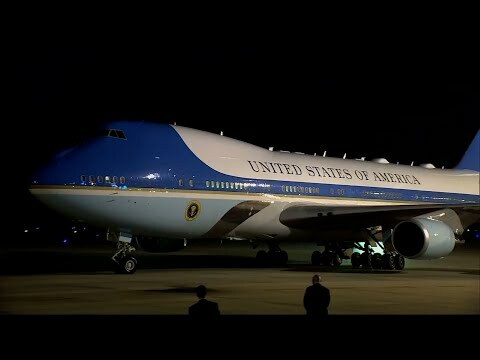 Trump arrived late Tuesday after a 20-hour trip that included refueling stops in England and Qatar. He shook hands with dignitaries on a red carpet flanked by Vietnamese troops in crisp white uniforms. The route to his hotel was decorated with American, North Korean and Vietnamese flags, and adults and children peered out upper-floor windows holding up cellphones to capture his arrival. Kim’s journey to the summit, though shorter in distance, was even more protracted. He took a nearly 70-hour train ride through southern China and then traveled from a Vietnamese border town in his limousine. Hours ahead of his border crossing at Dong Dang, footage from Japanese TV network TBS showed Kim taking a pre-dawn smoke break at a train station in China. A woman who appeared to be his sister, Kim Yo Jong, held a crystal ashtray at the ready. In Hanoi, soldiers, police and international journalists thronged the streets outside Kim’s hotel, and hundreds of eager citizens stood behind barricades hoping to see the North Korean leader. As flags from the three countries fluttered in a chilly drizzle, dozens of cameras flashed and some citizens screamed and used their mobile phones to capture Kim’s arrival. North Korea has spent decades, at great economic sacrifice, building its nuclear program, and there is widespread skepticism that it will give away that program cheaply. He has praised Pyongyang for ceasing missile tests, and has appeared to ease up on demanding a timeline for disarmament. Kim is seeking relief from crushing U.S. sanctions. Even as he tamped down expectations that he’ll achieve big strides toward denuclearization, Trump was still eager to claim an attention-grabbing victory to offset the political turmoil he faces at home. With the president out of the country, his former personal lawyer was testifying on Capitol Hill on Tuesday about alleged misconduct by Trump, the House was expected to approve legislation aimed at blocking Trump from steering billions of extra dollars to his Southwest border wall, and a House committee voted to subpoena administration officials over family separations at the border. AP journalists Yves Dam Van in Dong Dang, Hyung-jin Kim, Adam Schreck and Hau Dinh in Hanoi, and Kim Tong-hyung in Seoul, South Korea, contributed to this report.